I really enjoyed this book and it was such a quick, easy read that I finished it in one day. You can see in Reagan’s letters to Nancy that he was so in love with her. He constantly mentions how he can’t live without her and that he was a lonely man before he met her. Then you get to see how much she loved him as she thought back to their life together when he wrote the letters. One of my favorite parts of Reagan’s letters are how many different nicknames he had for Nancy. it was so funny reading nicknames like Nancy Poo, Nancy Poo Pants, and Glamour Puss. Thankfully, Nancy explains where some of the nicknames come from, but not all, making me wonder how the others came about. Every time a new nickname came up, I thought about my husband and me. We also have so many silly nicknames I’ve lost count. It’s very nice to see another side of Ronald Reagan from the person who knows him best and was with him through all the ups and downs of his life as well as his career. Nancy made it a point that her life was all about Ronald Reagan and making sure he had a conformable home. He always made a point to show her how grateful he was for it and never stopped writing her letters. Overall, its a very wonderful cute love story of the President and First Lady. Even though people knew how much they loved each other just from seeing them together, it was great to read about them from Nancy’s point of view. After reading this book, I feel even more certain that they are the most in love historical couple. Are there times when you feel like you’re in a prison? When you feel like you have no control of what’s going to happen to you? Zoey (who has no clue what her last name is) has been a prisoner of a facility known as the ARC the majority of her life. She’s only allowed to eat certain foods, read certain books, and has to abide by the rules or be punished. All this because she’s one of the few young girls left in the world. They take these young girls from their families and take away their freedom. I thoroughly enjoyed reading The Last Girl. The first part of the book brings you into the ARC and what Zoey’s daily life is like. She’s escorted everywhere and has to stick to a schedule that includes wearing certain outfits, communal eating, and doing laundry. Her life essentially is not her own. The second part of the book details her escape from the ARC and her first few days of freedom in the world, but unfortunately doesn’t have time to enjoy it while they are searching for her and while she’s injured. Zoey encounters many many obstacles during her escape from hunger to running into men who want nothing more then to violate and sell her. When I first started reading this book, I was siding more with the people running the ARC because these are the last few women on earth that might be able to produce a female birth. They are protected, fed, and have a space of their own, but as I continued to read I started to understand Zoey’s struggle. I can’t imagine not being able to decide what I get to do each day, what I get to eat, what I get to read, and who I can spend my time with. It’s not living which is part of what fueled Zoey to fight back. When Zoey escapes from the ARC is when I really got into the book. The author made me feel Zoey’s pain when she was running away trying to stay alive. I felt like my heart was beating with her’s with each man she killed for her freedom. It was like I was there experiencing it for myself. I thought about what would be going through my head seeing the wilderness for the first time while on the brink of death. Seeing the world for what it was rather then what was told to her. I’d be frightened just like she was. I’d be confused just like she was. I’d be angry. The lead character, Zoey, is another aspect of the book that I loved. At first you think she’s just a small fragile girl that just continues to go through the motions, but she’s actually this very strong woman fighting for what she wants out of life and fighting for those she cares about. There are many times when a weak person might die, but she didn’t. She fought and fought hard. Overall, I would highly recommend The Last Girl. It’s full of intense scenes that keep your heart pumping and it’s impossible to put down. It’s like you’re experiencing everything first hand. It’s a great thriller with a strong female lead that keeps you rooting for her until the end. I’m looking forward to the next book in the series. Joe Hart was born and raised in northern Minnesota, where he still resides today. He’s been writing horror and thriller fiction since he was nine years old. He is the author of five novels and numerous short stories, including the books The River Is Dark, Lineage, and The Waiting. When he’s not writing, Joe enjoys reading, working out, watching movies with his family, and spending time outdoors. (Bio found on www.joehartbooks.com). Thank you to Joe Hart and Thomas & Mercer for providing a copy of this book in exchange for an honest review. 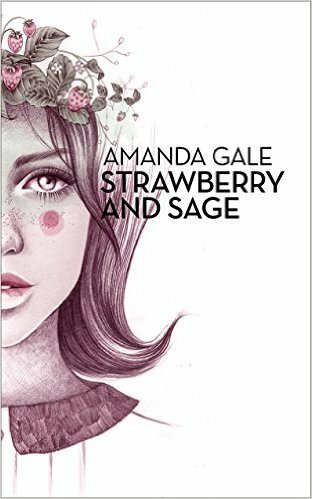 Amanda Gale has done it again with Strawberry and Sage making me adore her stories even more. This book is sort of a “prequel” to the Meredith Series books and tells the story of Gabriel Kelly and the love of his life, Abigail Wheeler. If you remember from the Meredith Series, Gabriel is the father of one of the men Meredith was with and ultimately married. Strawberry and Sage has a different pace then the Meredith series that I think stems from the personalities of the characters and the time period they are in. Gabriel is somewhat of an introvert and has a hard time expressing his feelings and his feelings are quite strong for Abigail. These feelings haven’t changed since that day they were picking strawberries as children in her grandmother’s backyard. I do love that the center of this love story revolves around pie…strawberry pie to be exact. Gabriel and Abigail’s love story isn’t some amazing fairytale and everything doesn’t just fall into place. It’s something that’s real with real world obstacles. In their case, the war is looming over Gabriel and he feels the need to be fighting along side his brother and fulfilling his duty to his country and protecting his family, but being the only man working in the family and the thought of leaving Abigail creates quite an internal struggle for him. Strawberry and Sage is not your typical love story, but it’s still one that keeps you rooting for them to finally let their feelings for each other bloom and bring them together. I would highly recommend this book for those who enjoyed the Meredith series and who are women’s fiction fanatics like myself. Ever optimistic, Meredith has never given up hope that she’d recapture perfection. However, experience has taught her how easily her world can fall apart. Having endured enough losses, in Book Three, Meredith Into the Fire, she resolves that it will never happen again. They’ve been crossing paths for over a year. Now fate seems to throw Meredith together with Shane Thayer, an aspiring celebrity chef with an odd sense of humor and a volatile temper. Struggling to make a name for himself and to satisfy the ambitions of his overbearing parents, Shane seems a far cry from the security for which Meredith yearns. But she is tired of following the same path, and she is anxious for her search to be over. Against the advice of her friends and family, to whom it is obvious that Shane is all wrong for her, Meredith sprints toward what she convinces herself is stability. Unfortunately, her attempt to take control of her life only brings her more chaos. Meredith Into The Fire is a classic case of settling and feeling defeated. If you’ve read books one and two, then you know that Meredith has already gone through two breakups that tore her heart apart. That’s why she pretty much gave up the search for the perfect man because she’s convinced that he’s unattainable and doesn’t exist. Then she starts dating Shane Thayer. This book really brings the character crashing down and you see her making terrible choices and convincing herself that it’s what she really wants. Her new love interest comes from a wealthy family and is quite the spoiled entitled “brat” if you ask me. She’s exactly what his parents don’t want for their son and that becomes clear during Meredith’s interactions with them. There may have been times when Shane seemed to love Meredith, but his actions contradict that and later you find out why he decided to be with Meredith. The whole situation made me sad for Meredith. She just couldn’t see what Shane was doing and what his true motive was for wanting to be with her. Thankfully she finds out towards the end, but not until they are literally about to walk down the isle. Overall, this was a great addition to the Meredith series. I would suggest you read the series from the beginning before reading Meredith Into The Fire, that way you understand why she’s making those terrible decisions. 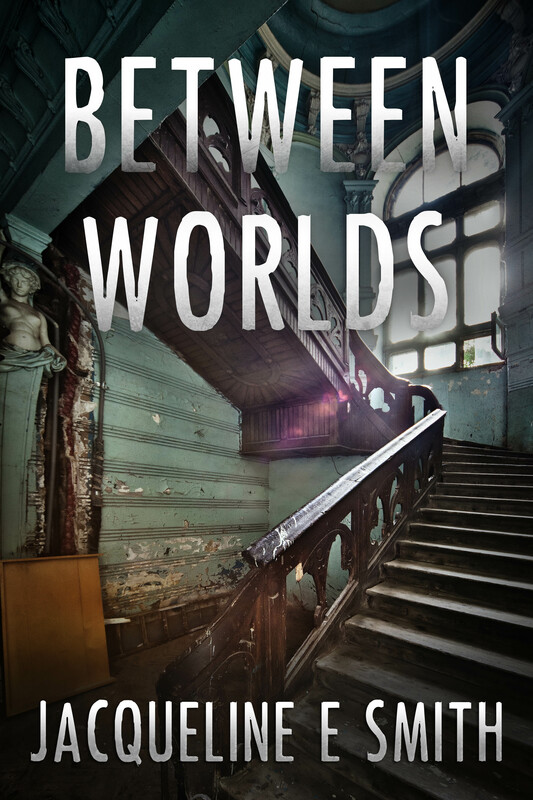 Between Worlds is the sequel to Jacqueline Smith’s Cemetery Tours. This book starts off pretty close to when the first one ended. Michael see ghosts, but now has some sort of pseudo-celebrity status. As with anyone who says they can see or speak with ghosts, Michael found himself being ostracized for his abilities. He lost his job. Kate’s parents wanted her to have nothing to do with him. The upside is that there were people who believed him, but they always wanted his help. So instead of keeping to himself like he did in Cemetery Tours he was going on talk shows (not that he was comfortable doing it) and people knew who he was. At times, it seemed like he missed the solitude, especially when ghosts would seek him out for help. When Michael was let go from yet another job he decided to finally take up Luke Rainer’s offer and be a part of his hit television show Cemetery Tours. That’s when they wind up at Sterling Hall to investigate the story behind the ghost who might be roaming the house. It’s this ghost who puts everyone’s lives in danger, especially Kate’s, so it’s up to Michael to help the ghost move on. Overall, I loved Between Worlds. It’s great being able to read another “adventure” about characters I enjoy. I feel this series can have multiple books associated with it and thats exactly what Jacqueline Smith is working on. I can’t wait to read more about Michael and his ability to see and speak with ghosts. It’s the only paranormal series I’ve actually been interested in and I can’t wait to read the next books in the series. Jacqueline E. Smith was born and raised in Dallas, Texas. She attended the University of Texas at Dallas, where she earned her Bachelor’s Degree in Art and Performance in 2010. Two years later, she earned her Master’s Degree in Humanities. BUY LINKS: AMAZON | B&N | GOOGLEPLAY | INDIEBOUND | BAM! 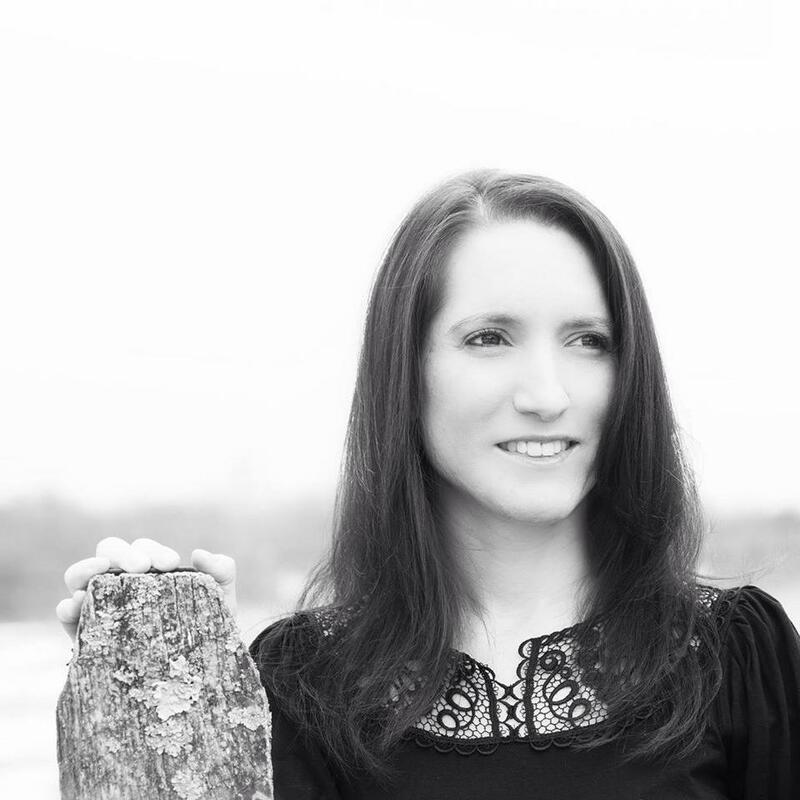 As soon as I started reading What Was Mine, I became engrossed by it and could’t put it down. I don’t have children yet, but I feel that What Was Mine still had the same affect on me as it would to a mother. It would be truly devastating for my child to be kidnapped. This book also made me think about how I’d feel towards the person who kidnapped by child. I’d be thankful that he/she wasn’t harmed, but I’d definitely be angry about the amount of time that was stolen from me. I hope I’d follow Marilyn’s example and think about my son or daughter and how they feel about the situation. It’d be difficult, but sometimes you have to look at the big picture and what is best for your child. What Was Mine is told in several different perspectives, mostly by the main characters Lucy Wakefield (the kidnapper), Mia Wakefield (the kidnapped child), and Merilyn Featherstone (the biological mother). There are a few supporting character perspectives sprinkled in that were an interesting addition, but if removed, they wouldn’t change much of the plot. The most interesting aspect of reading What Was Mine is that I felt sorry for Lucy Wakefield, who was essentially a child abductor. In everyday life, if I see a kidnapping story on the news, I tell myself “that person needs to go to prison”, but I didn’t feel that way with Lucy. She was a woman who couldn’t have children in any way and her desire for a child got the best of her causing her to kidnap Mia. I felt sorry for her during several points in the book. Overall, I would highly recommend this book. Even though it’s a women’s fiction book, sometimes it felt like a suspense novel because I was always wondering if she’d be caught. Helen is a former creative director at top ad agencies in New York who spent over 20 years in the ad business before turning to other kinds of fiction. Her stories, poems and essays have been published by the New York Times, Los Angeles Times and The New Yorker. (Found on Helen’s website). Thank you to the publisher for providing this ARC in exchange for an honest review.